My kids love fruits and veggies. They are not picky eaters. Lately my son, age 7, has shown a particular liking for my mushroom soup made with a musky dried fungi that give a deep smoky umami flavor, and he is also partial to vegetable stir-fries rich with fresh ginger and nama shoyu, while his 4-year-old sister’s favorite dessert is dates and dark chocolate. Let me reassure you, our relationship with food was not always this way! 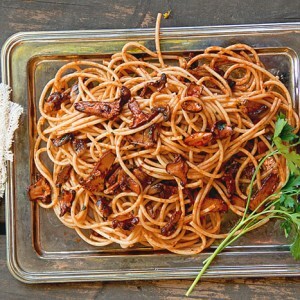 Fresh pasta is delicious, but it’s not always the best choice for every recipe. Pasta is not pasta. Fresh pasta isn’t necessarily interchangeable with dried pasta. There’s a reason Italians love both versions. 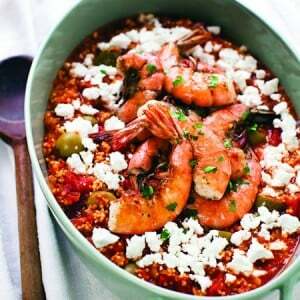 My goal with this recipe is to get you into the kitchen and cook. 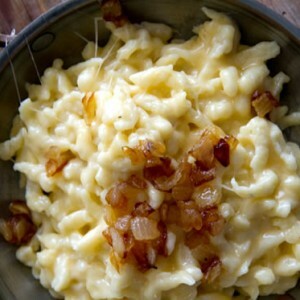 At the very least, whip up this awesome sauce, nothing more than goat cheese and parsley. Feeling more ambitious? 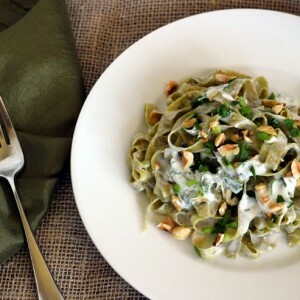 Make your own fettuccine noodles to toss with the sauce. 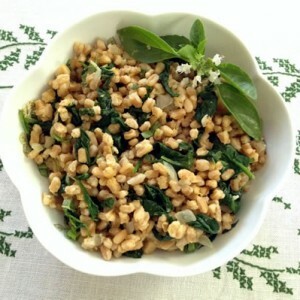 You might be surprised to learn that there is an amazing array of ancient grains to choose from which are gluten-free. And many have become more widely available, even in mainstream supermarkets. One of the ways I love to get creative is taking recipes and recreating them in new and different ways. 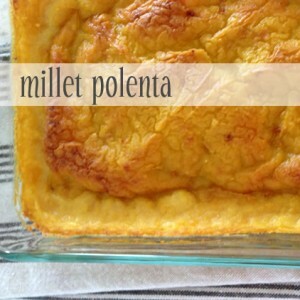 Polenta made from cornmeal now becomes millet polenta instead. 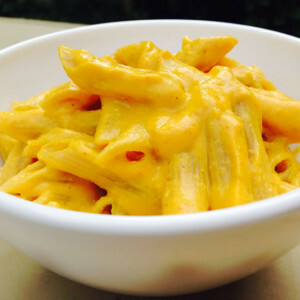 A lot of people believe that creating macaroni and cheese from scratch is difficult, when in reality it takes very little effort and yields results that are a thousand times tastier than anything you’ll get out of a box. 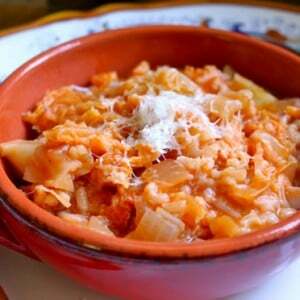 This Italian Cabbage and Rice is truly a “peasant dish”; my Nonna in Italy made it often, probably because it stretched ingredients to help feed her very large family.